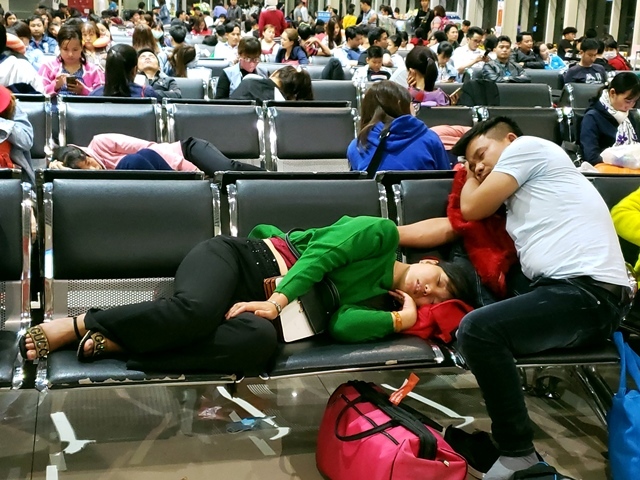 A family said they had waited for the Jetstar Pacific's flight for five hours. 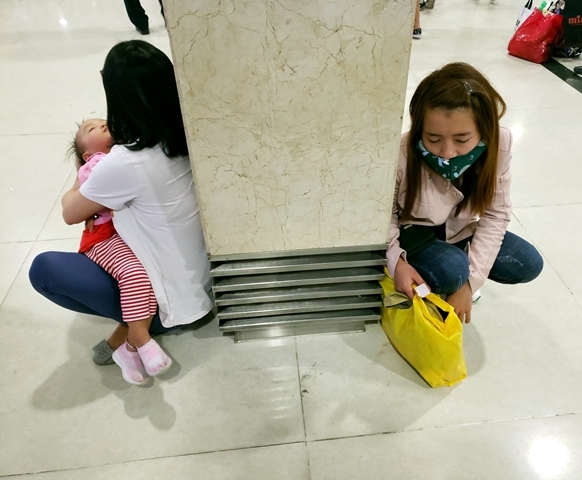 Their flight was scheduled to take off at 8 pm so they arrived at the airport at 5 pm. 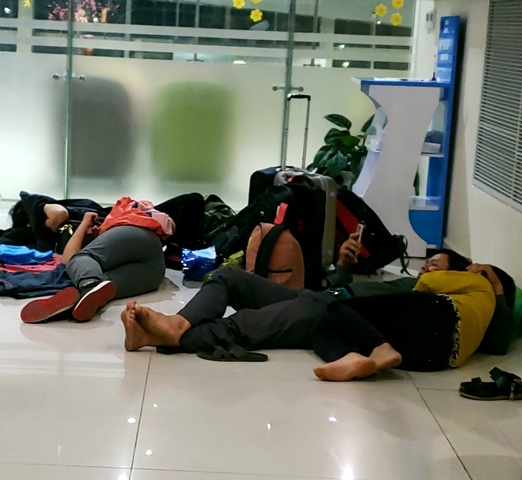 However, their flight was pushed back to 12.30 am. 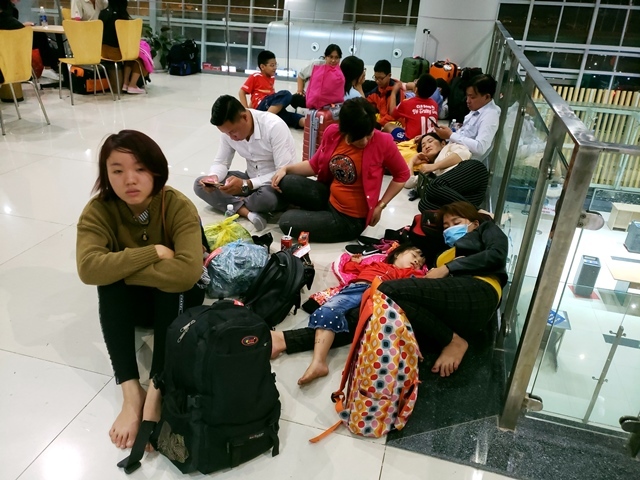 At 3 am on February 11, many people still lined up to pick up their luggage at Tan Son Nhat International Airport in HCM City. 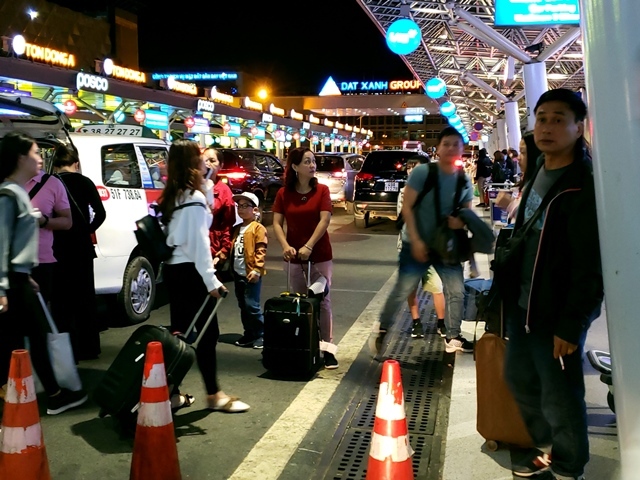 Even though taxi firms had increased thousands of cars waiting near the airport every day, they still couldn't meet demand.